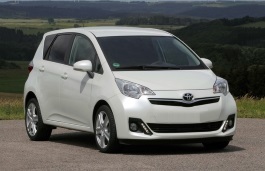 Correct Wheel Sizes, PCD, Offset, Rims and Tire specs for Toyota Verso S series. I bought a toyota verso s 2011 and want to put alloy wheels on, will this be classified as a modification of the car. Hi,Stephen Reid,Different country have different standards about the "the modification of car",Normally,If the new wheels is much more bigger than standard wheels,This is modification,If just change steel rims into alloy wheels,it is not a modification.